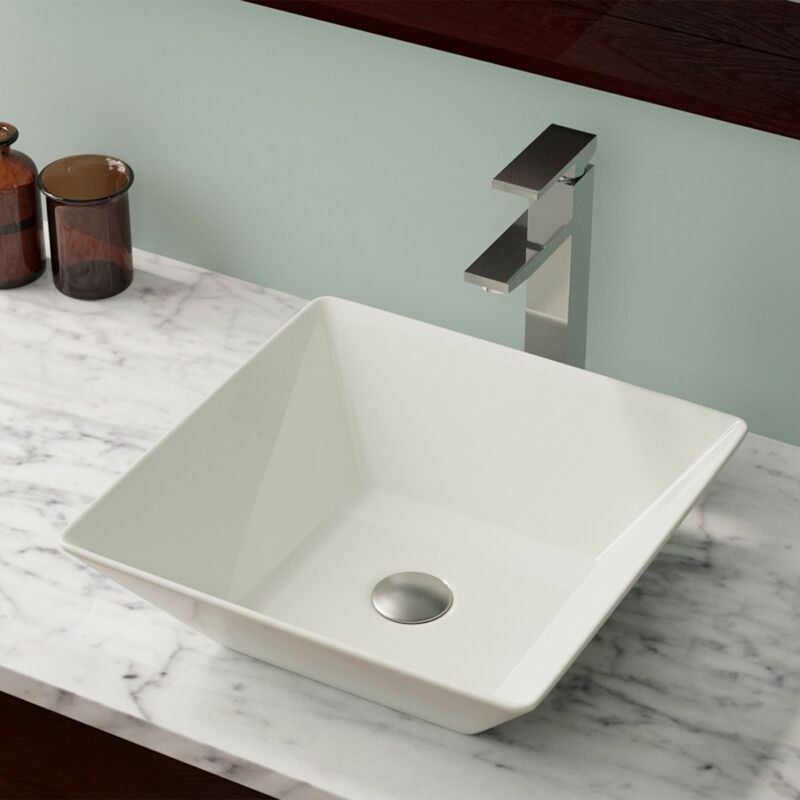 The V170-Bisque porcelain vessel sink offers a unique, modern look for any bathroom. It is made from true vitreous China, which is triple glazed and triple fired to ensure your sink is durable and strong. Our bisque color is a beige hue that contains a yellow tint. Because this sink is a vessel, no mounting hardware is needed. The overall dimensions for the V170-Bisque are 16 1/8" x 16 1/8" x 4 7/8" and an 18" minimum cabinet size is required. Vessel sinks require a special spring-loaded pop-up drain, which we offer in a variety of finishes to fit your decor. As always, our porcelain sinks are covered under a limited lifetime warranty for as long as you own the sink.